The 45 Colt cartridge with lead round nose head is a replica of the type of round shot through the original antique western firearms. This was due to the use of black powder and the weaker metals used in the manufacture of firearms of the day. The 45 Colt cartridge was developed by Colt and UMC for use with the Colt revolver in 1872, and accepted for use by the US Army in 1873. 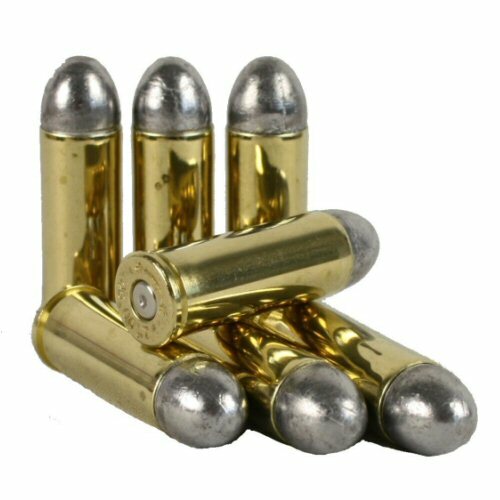 The 45 Colt cartridge is a popular hunting and Cowboy Action round. Due to the similar diameters, revolvers chambered for .410 shotgun, such as the Taurus Judge and the SW governor will also be chambered for the 45 Colt cartridge. The 45 Colt inert round has no propellant and deactivated primer, and consists of only the lead head and brass case. Please note, price is for ONE round only. Inert rounds may only be shipped outside the UK with courier (eg UPS).